NEW download location at GoogleCode, Thank's Google! Got detailed info about Gimpad with Gimphoto is working OK under Vista and also found a common error that usually happened under XP or Vista, Thank's Igor Khavkin! 4. Run Gimpad (DON'T Run Gimphoto) because Gimpad that will run Gimphoto automatically and change the user interface to single MDI window ala Photoshop. Gimpad 1.1 is formerly known as Gimphoto Desktop. Gimpad is major improvements over Gimphoto Desktop. Gimpad is SUPER STABLE, SMALL MEMORY USAGE & NO MEMORY LEAKS. 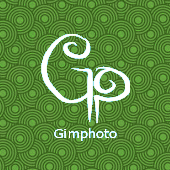 If you have experience problems with Gimphoto Desktop, try again Gimpad. - If you install Gimpad, then Start > Programs > Gimphoto > Uninstall Gimpad 1.1. - and then Uninstall Gimphoto 1.4.3 from Start > Programs > Gimphoto > Uninstall.